PTFE Rod is known as having the lowest co-efficient of friction of any solid material and is extremely effective operating at extremely high and low temperatures. PTFE Rod has fantastic chemical resistance and superb electrical insulation properties. PTFE Rod can be tricky to bond, but it is non-melting and is self extinguishing. 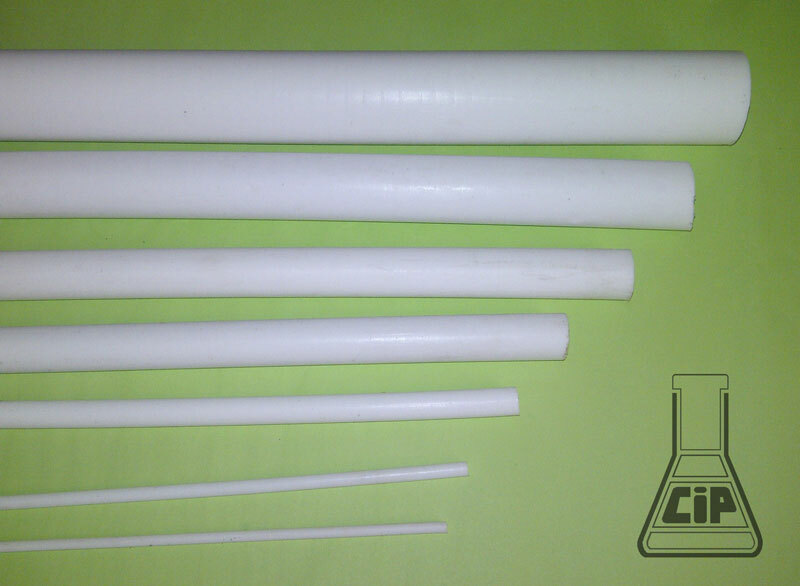 Our PTFE Rod is available in virgin and filled materials (on special request). PTFE Rod is an extremely versatile engineering plastic that has many important performance advantages over other materials. One key important advantage of PTFE Rod is its operating temperature range; it can easily out perform other engineering plastics by being able to perform continuously at -250°C, right up to an amazing 250°C. Another important advantage of PTFE Rod is its outstanding co-efficient of friction. PTFE also has excellent acid and chemical resistance. Another feature of PTFE is its ability to set by or due to compression. PTFE has excellent electrical resistance. PTFE is also water repellent and is often used in the manufacture of modern high performing, water repellent and breathable clothing. PTFE is excellent for low friction bearings, bushes, rollers and pulleys. PTFE is also almost exclusively used in cryogenic components due to its ultra low operating temperatures. PTFE Rod is regularly used for seals. PTFE Rod has become a very important engineering plastic used within the aerospace industry and aeronautics. PTFE is often used within the food industry companies. Another useful application over the years has been in the use of product or component handles due to its resistance to heat and heat transfer. When an application for electrical resistance becomes too high for other materials, PTFE Rod can fill a very important gap. Because PTFE has such a low co-efficient of friction it offers a material that when used will reduce load and drag in bearings to improve efficiency and reduce frictional losses and PTFE will outlast other materials. Because PTFE Rod will set due to compression, PTFE seals will conform to mating components resulting in excellent sealing capacity. PTFE is reasonably easy to machine which helps with reduced machining costs and increased capacity and efficiency. PTFE is resistant to most acids allowing this material to be used in aggressive environments to where such materials as Polypropylene are unsatisfactory. Excellent mechanical properties, aging resistance. Has self lubrication and not coherency. Excellent insulation characteristic (Regardless of its frequency and temperature how). Anti-majority chemical substance’s corrosiveness, except some fluorides and alkalinity molten metal. Excellent flame resistance (Conforms to ASTM-D635 and D470 test step), in the air to be regulated as a flame retardant material. 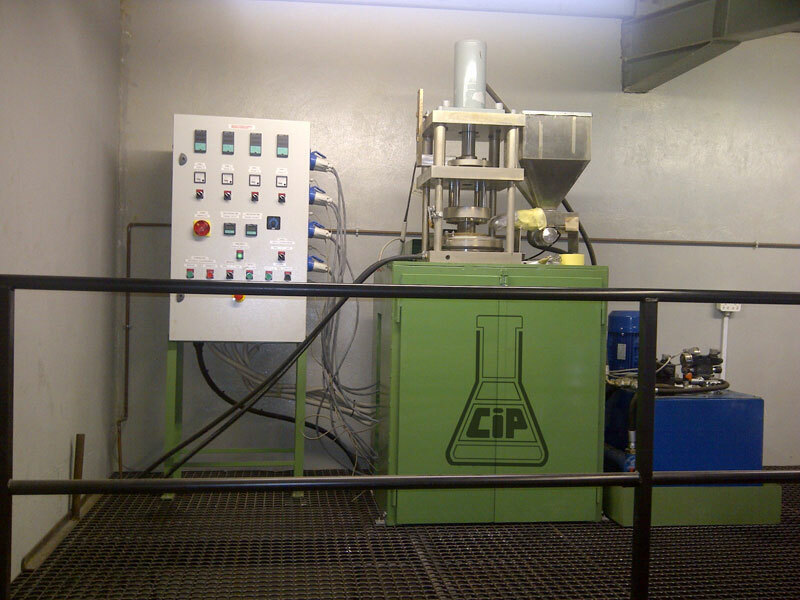 Chemical and Industrial Plastics Ltd maintain this Website and provide general information as a value added service. Although every attempt is made by Chemical and Industrial Plastics Ltd to keep information on this site accurate, current and up to date, Chemical and Industrial Plastics Ltd does not accept responsibility or liability for any damages or losses, which stem, directly or indirectly, from any use of any information obtained from this Website, nor has Chemical and Industrial Plastics Ltd made any representations or warranties regarding the accuracy or suitability of the information.